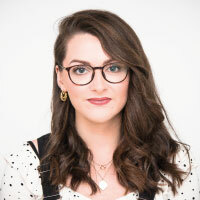 Influencer marketing this; influencer relations that- we’re hearing both terms being thrown around an awful lot across social media, sometimes interchangeably, sometimes with entirely different meanings. To us, there are two fundamentally very different words in each term setting them apart: marketing and relations. With both words meaning entirely different things on their own, why is it that when ‘influencer’ is popped in front that they are regarded in a similar light? The term ‘relations’ has similar connotations to the word relationship, while the term ‘marketing’ is used to describe an overarching business function. So how can they possibly mean the same thing? This is not to say that we think there should be one term. When it comes to working with influencers, there’s no one size fits all in which every brand can implement it in the exact same way and achieve the exact same results; there are various ways in which you can approach it- so there being one term is far too simplistic. Some brands will prioritise an influencer’s reach (follower/subscriber number) with the sole intention of gaining brand exposure, while others will focus more on the influencer being extremely relevant, with a laser focus on topics that matter and are at the core of their brand. Ultimately, the difference between the two revolves around the how, the why and the what. We’re here to bring clarification on the fundamental differences between influencer marketing and influencer relations as well as insights into exactly where each is more appropriate. 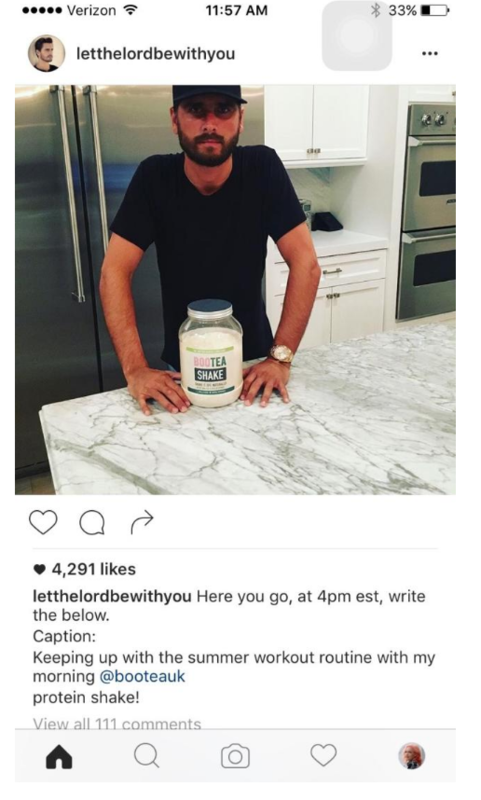 For a large proportion of people, particularly those outside of marketing, when they hear the term influencer marketing, they instantly think of Instagram celebrities with 1 million + followers, posting a picture of their weight loss results from the latest diet product with the words ‘#ad’ or ‘spon’ included in the post. Or perhaps a YouTube video of a makeup tutorial in collaboration with a big beauty brand. While of course there’s no doubt that these people do hold influence, this is viewing influencer marketing through an advertising lens, where brands will work with influencers on a transactional, financial basis, with the intention of exposing their brand to this influencer’s audience. So in this case the criteria that is front of mind for selecting influencers is reach (followers / subscribers), as a higher follower number means more eyeballs on the brand/product in question. In the same way that social media marketing is a marketing exercise in which social media is your main medium for projecting your brand’s messages, influencer marketing is an exercise in which the influencers themselves are the medium in which the message is being projected. What this means is, you’re likely to have more power, control and sway over the way in which that influencer delivers that message. This is effective at achieving continuity, but it does come with its risks and downfalls such as the PR fail below. 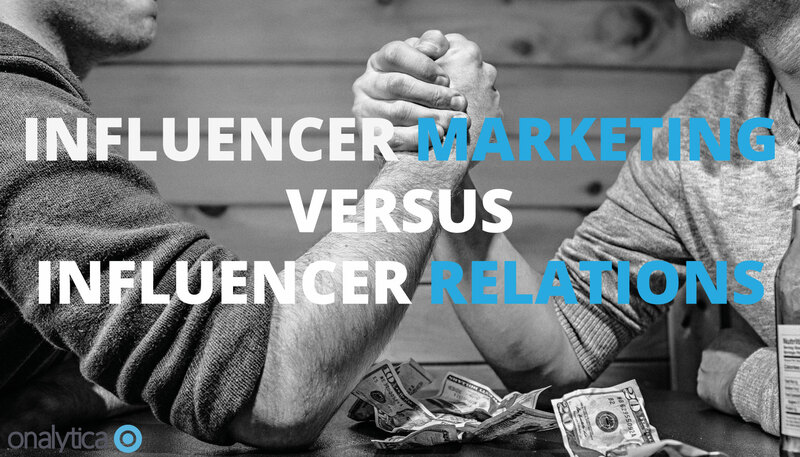 This is not to say that there’s no element of relationship building within influencer marketing and that it is all about paid influence; influencer relations just has a much heavier emphasis on collaborating with and building genuine authentic relationships. 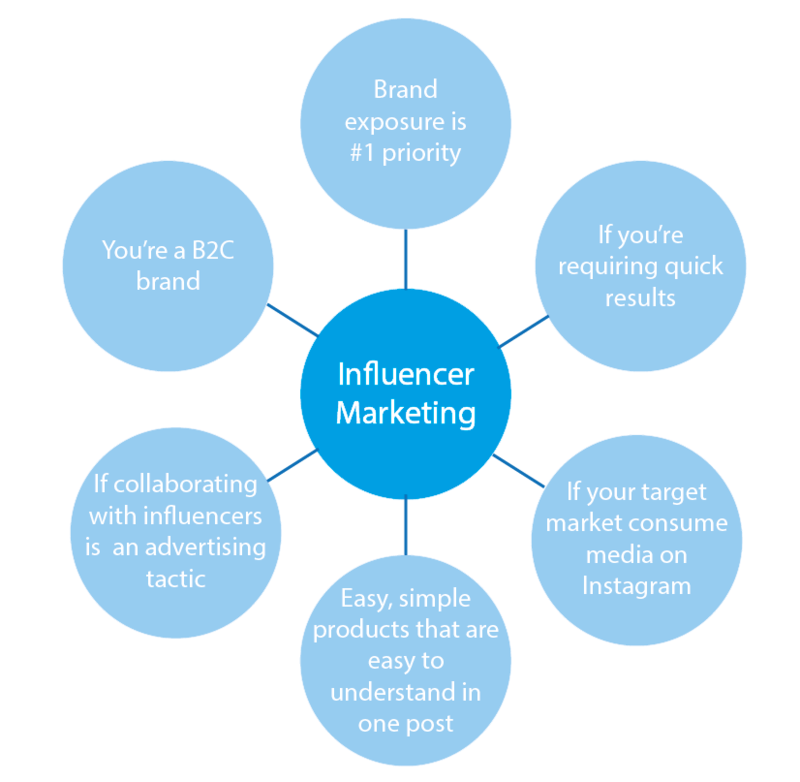 When should you favour influencer marketing? When brand exposure is your number one priority: If you’re looking to gain exposure of your brand, then working with an influencer with high reach on a paid basis may well be very suitable. However, it is important to ensure that their follower base is well aligned with your target market. If you’re requiring quick results (i.e. building relationships with influencers does not fit your timescales): The use of financial agreements means that you’re able to get the ball rolling straight away with brand mentions and collaborations. If your target market enjoys consuming media on social media platforms such as: Instagram, Twitter, Facebook and YouTube: For example, if you’re targeting the millennial market, then you need to be where they are. Where they happen to either be present on and/or consume most of their media is Instagram, Twitter, Facebook and YouTube. Therefore, working with Influencers that also have a presence and influence on these channels to promote your brand or product offering may well be very effective. If your products are simple enough to be easily understood in one post: Sponsored posts on Instagram only work if the concept of the product is simple and easy enough to comprehend in the one post. The nature of Instagram and Twitter is quick and easily digestible content, which you either continue to scroll past, or glance at at a push. With this said, there isn’t any time to be overwhelming or confusing the audience. If you’re viewing influencer marketing as more of an advertising exercise as opposed to a communications exercise: If this is simply a way of increasing brand awareness, product interest and sales, then this may be the favoured approach. This is a case of viewing influencers as a medium to get your message out there, just as you would with PPC on social media or traditional advertising. If you’re more of a consumer focused brand: The difference between B2B and B2C, is consumers are happy to spend money on things that they don’t need, whereas businesses aren’t happy to spend money on things they do need- this shifts the dynamic completely. The cost that comes with influencer marketing is far easier to justify in terms of the quick return. 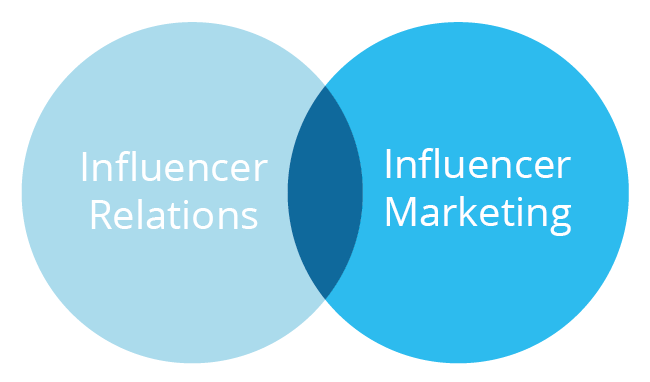 The fundamental difference between influencer relations and influencer marketing is the understanding that no influencer can influencer everyone, on everything. For example, a fashion and beauty influencer with a focus on Instagram, will not have influence over the tech community on Twitter or LinkedIn- not only is the fit not there in terms of topic, but also in the way in which that community engages and consumes content. There is greater emphasis on the influencer discovery piece- it is extremely important to ensure that you’re working with influencers that are totally relevant to your brand and issue at hand. Once we have discovered relevant influencers, the focus is on listening to the conversations across social media, engaging and become a part of conversations between the community of influencers as a means to build relationships. This heavy focus on engagement means that influencer relations is often perceived more as a communications exercise. With this focus on building real relationships comes with a shift from working with influencers with a large following, to micro influencers- this is because you’re less likely to find yourself fighting for their attention; they’re far easier to engage with. Their audience are therefore more likely to be relevant to your brand; after all what use is an influencer reaching millions but a small proportion of your target group? So, since reach is less of a focus, we shift our focus more to their resonance (an egagement metric), reference (authority metric) and relevance. Micro influencers operate more on an earned influence basis- they’re influencers in a niche area as they have a strong degree of knowledge, expertise and genuine influence in this area. They’re more likely to engage and collaborate with brands on terms that are mutually beneficial to both parties, as opposed to working on transactional agreements. They have built their influence organically over a steady period of time; they value their audiences and prioritise providing them with valuable content- if you’re able to facilitate this then this is enough incentive for them to work with you. While building organic, long term sustainable relationships is a longer term marketing and communications strategy, this is far more cost effective for brands. Engagement rates on micro influencers’ content also tends to be higher. In terms of communicating your brand’s message, since they’re an expert and well aligned with your brand, the need to completely control the message that they portray should be less necessary. When should you favour influencer relations? If you want to improve your brand perception and reputation: Shifting and altering brand perceptions is something that takes time. Doing this through influencers is going to be far more effective if you work to build genuine relationships with influencers. If your audience suspect that an influencer is being paid to speak of your brand in a particular manner, then this can discredit what they’re saying. For CSR initiatives: Working with an influencer that’s passionate around a particular social or political issue to make a difference, is going to seem far more genuine and drive greater impact. If they believe you share their values and have some common goals they will engage without a fee. If you’re viewing working with influencers as more of a long term strategic move as opposed to advertising: Contrasting to influencer marketing, influencer relations should be seen as a longer term strategy. If you’re looking to achieve the same kind of immediate results as those of advertising, then perhaps influencer relations is too much of a long term commitment. 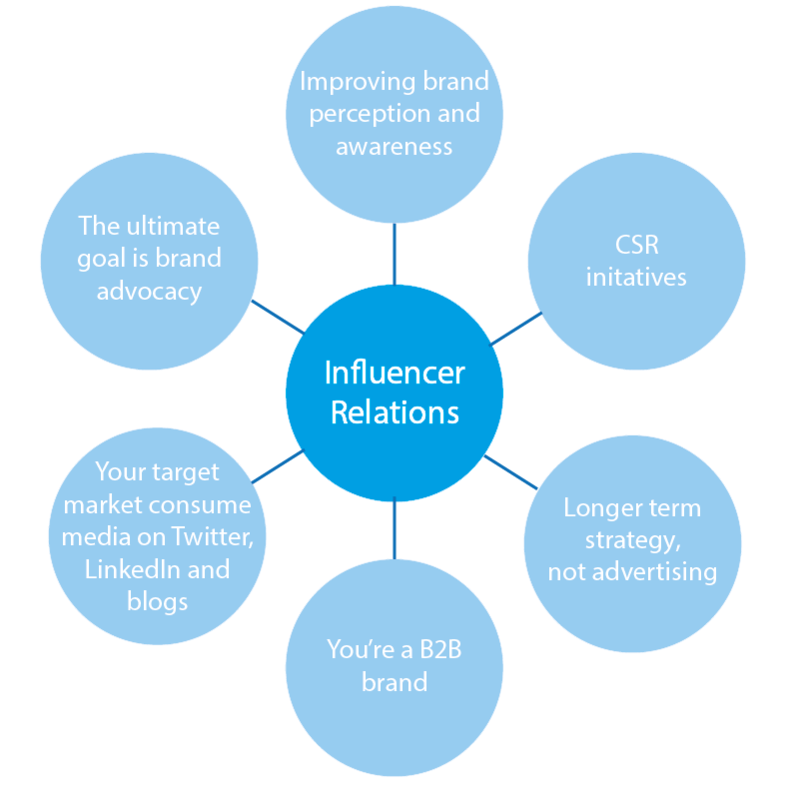 If you’re a B2B brand: For the same reasons why influencer marketing is more appropriate for B2C brands, influencer relations is more appropriate for B2B brands. B2B brands tend to offer expertise, services and solutions in very niche areas, meaning that equally as niche influencers are required to ensure the relevance and alignment is there. Influencers in the B2B space often value their independence and want to be free to criticise brands when they want to and will resist anything that makes them look ‘bought’ by a brand. If your target customers consume media on Twitter, LinkedIn and personal blog posts, as opposed to Instagram, Facebook and YouTube: The more niche influencers in the B2B world are far more likely to create content, engage with content and engage with their audiences on platforms such as Twitter and LinkedIn. Therefore, if this is where your customers are, then these are the types of influencers you need to be building relationships with. In addition to this influencers talk to influencers, so immersing yourself into these conversations should be a prime focus. If the ultimate goal is achieving brand advocacy: If relationships are effectively nurtured, influencers can eventually develop into advocates for your brand; whereas an influencer advocating your brand on a paid basis will be extremely transparent and may well have the opposite of your desired effect. A really interesting question was posed to the audience by HubSpot’s Karl Walsh at the 2017 B2B marketing expo at the ExCel Centre in London- “do you rent or own your marketing?”. This was posed on the premise that if you’re targeting your target audience through the likes of PPC campaigns, or indeed through your influencers’ feeds, then you’re merely renting a tiny part of your customers’ mind or day. Compare this to influencer relations, in which you’re effectively getting your message out to your target audience, because you’ve built a relationship with an influencer whom they’re influenced by? In this case, the argument can be put forward that in indeed own your marketing. With all the above said, let’s get one thing straight- influencer relations and influencer marketing can and should work in unity in some instances. Let’s imagine a scenario in which a brand has effectively identified influencers that: 1) have an optimum reach 2) are extremely relevant and well aligned with their brand and resonate with their community- some of which are happy to engage, build a working relationship and collaborate on an earned basis, while others require some kind of exchange for their time. If a brand assesses this and decide it is worth it, then who’s to say this is the wrong approach to take- there is some crossover. If you’re interested identifying influencers relevant to your brand, then why not trial out our free 7 day trial here, or alternatively, get in touch with one of our consultants here.